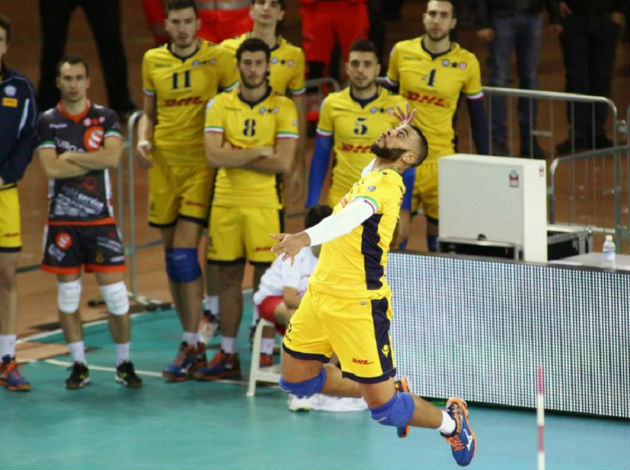 WorldofVolley :: CHALLENGE CUP W: A huge step of Monza toward the trophy! CHALLENGE CUP W: A huge step of Monza toward the trophy! The Italian team won the first game of the Challenge Cup finals in Turkey! That means, Monza are two sets away from the trophy of the Challenge Cup. The team from Italy defaeted Aydin in Turkey 3-0 (25-15, 25-23, 25-17). Simply, the Turkish side couldn't do anything to stop Monza or to create a better result for the second leg game. Rachael Adams was the best scorer with 13 points while Serena Ortolani had 12 points. In the home team Ceneida Gonzalez Lopez had 13 points.